Pienikokoinen, helposti mukana kuljetettava latausasema jossa mukana myös kolvi. Mukana myös USB lataus vaikka puhelinta varten. 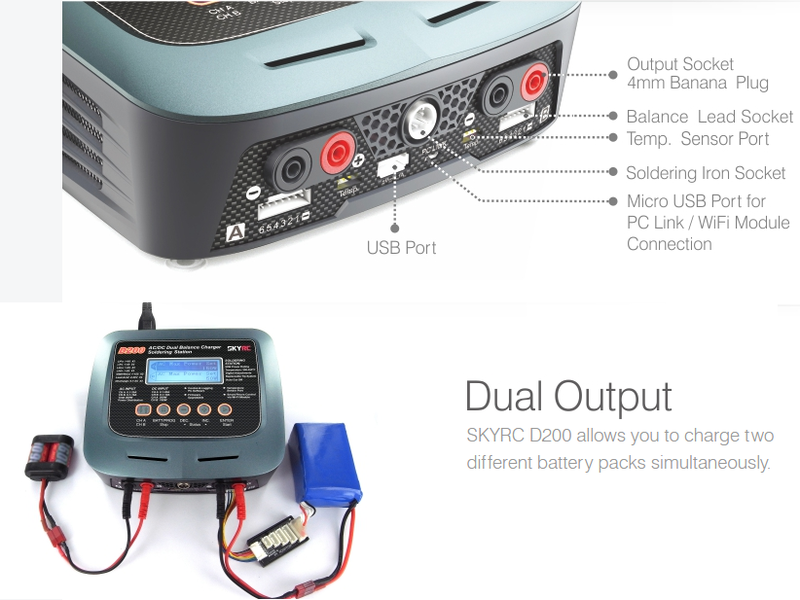 SKYRC D200 is a dual output charger, which supports power distribution with AC source. 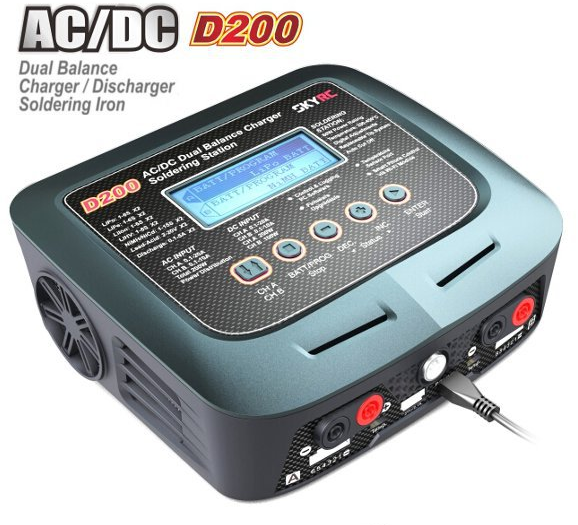 It has new functions, like, Terminal Voltage Control (TVC), Battery Meter, Battery Internal Resistance Meter. It has software protection, like, Current Limit, Capacity Limit, Temperature Threshold and Charging Time Limit.It supports PC control and firmware upgrade. 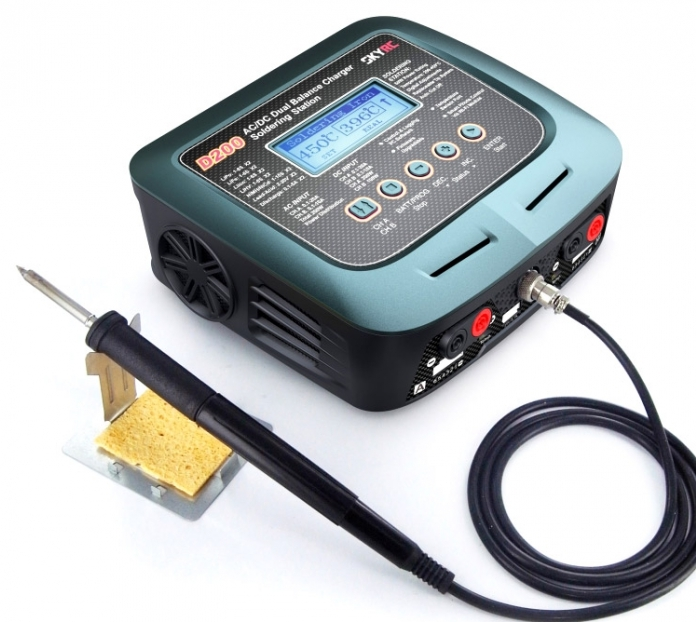 Additionally,it has a built in soldering iron that can heat up to 450℃ with heavy duty 60W, the temperature is adjustable from 200-450℃. User can modify the end voltage (for expert only).